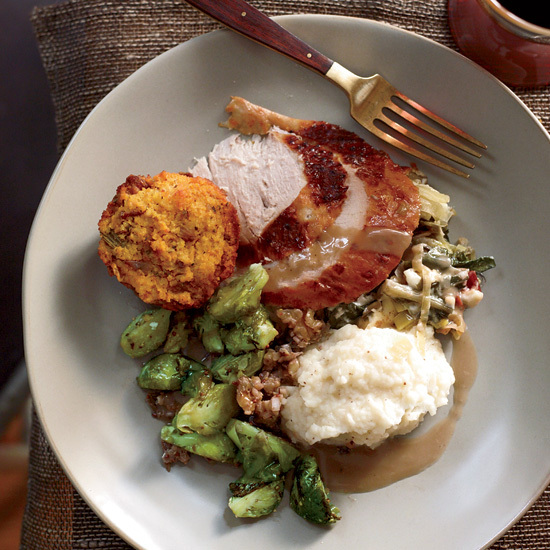 From an Italian-influenced Thanksgiving meal to a Southern Thanksgiving dinner, here are fantastic Thanksgiving menus. 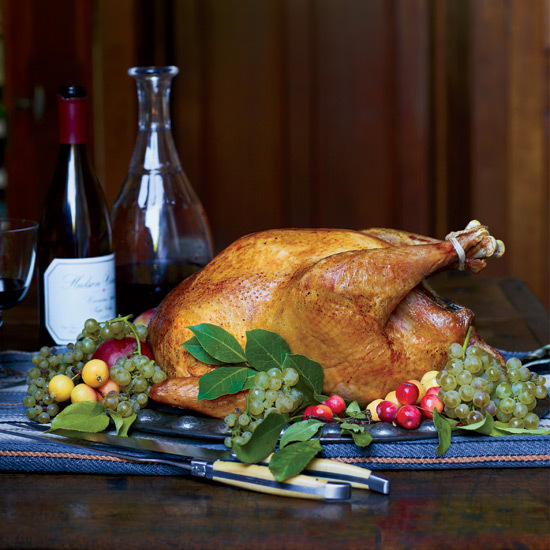 Superstar chef Michael Symon’s Thanksgiving menu draws from his Greek-Italian-Eastern European-Midwestern heritage. Chef Joanne Chang uses Asian flavors in superb Thanksgiving recipes like soy-sauce-and-honey-glazed turkey and wasabi deviled eggs. 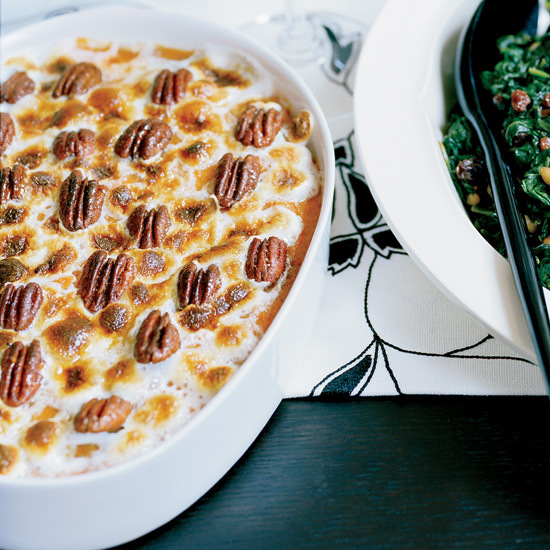 North and South America’s best flavors come together (with a few Spanish accents) in chef Jose Garces’s menu, centered around a glorious citrus-marinated turkey, sweet potatoes topped with chile-spiced pecans, and a thick, creamy vanilla-orange flan. 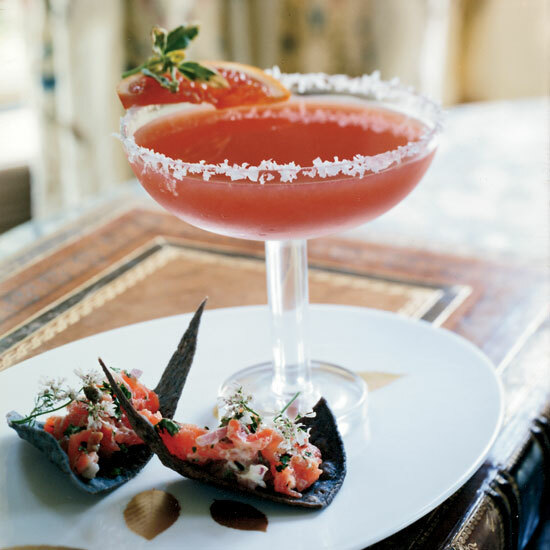 Chef Dean Fearing celebrates the holidays with a meal that shows off his more casual style—blood orange margaritas, green beans with country ham and pecans, and fluffy spiced pumpkin pudding. Missing their families and their Southern roots, chefs Allison Vines-Rushing and Slade Rushing left Manhattan to return to life in Louisiana. 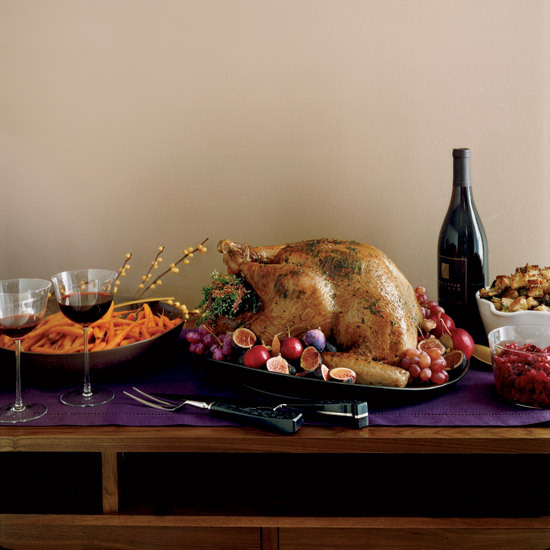 Here, they celebrate their homecoming with a southern-inspired Thanksgiving feast, complete with slow-smoked turkey, silky turkey liver mousse, creamed collard greens, and a delicious red velvet cake studded with cream cheese ice cream rolled in crunchy pecan praline. 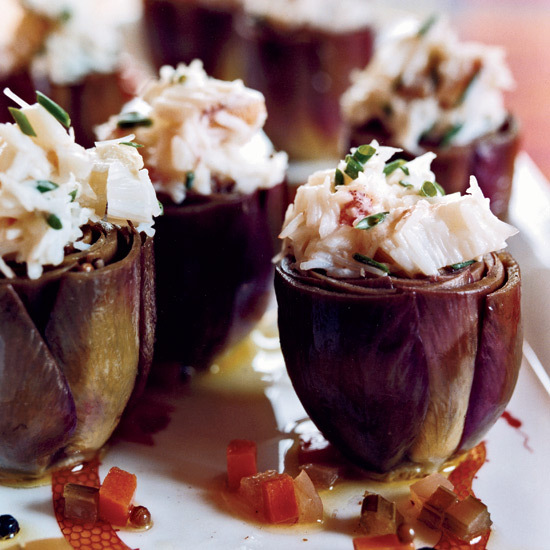 Boston chef Barbara Lynch prepares a Thanksgiving feast in her Boston kitchen, including crab-stuffed artichokes, wild mushroom stuffing with tarragon, and harvest mousse with spiced almond tuiles for dessert. 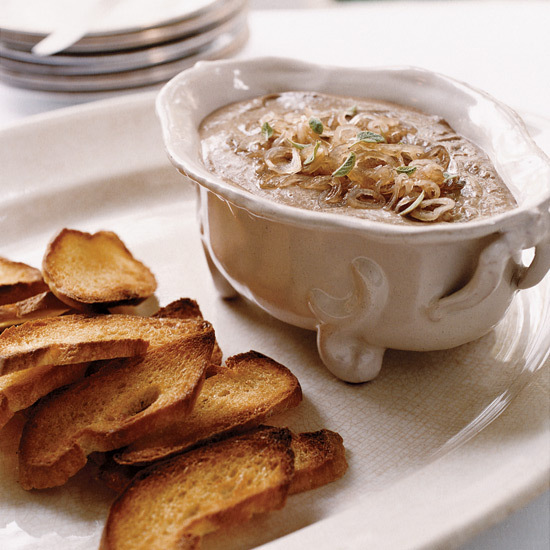 Chef Tom Valenti learned to cook from his Italian grandma, Settimia. 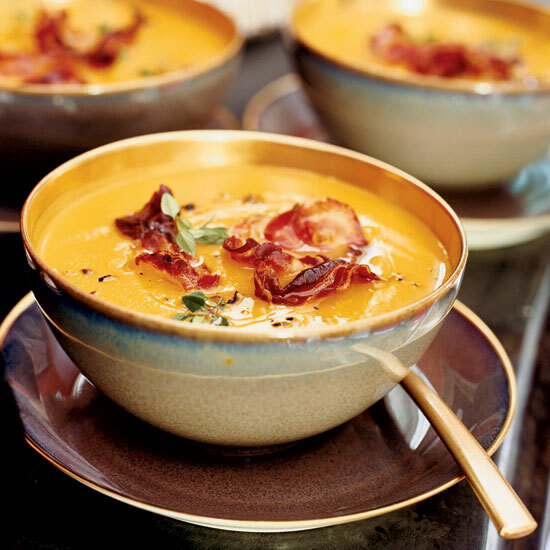 His modern holiday menu shows her influence, from the pancetta in the soup to the garlic gravy on the bird. 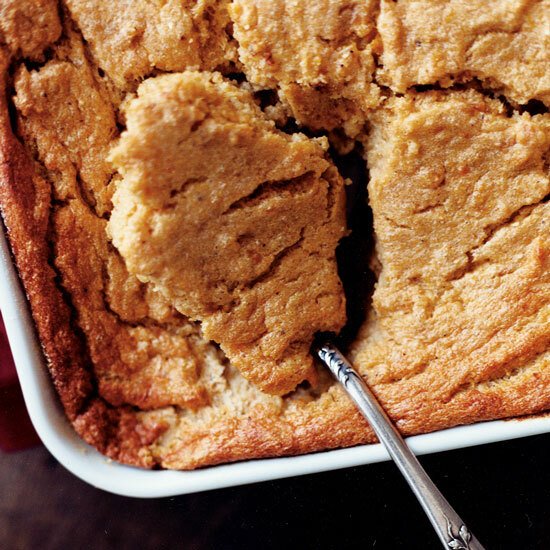 This Thanksgiving menu includes updated low-country classics like mashed sweet potatoes with cumin and bourbon-spiked pumpkin pie. 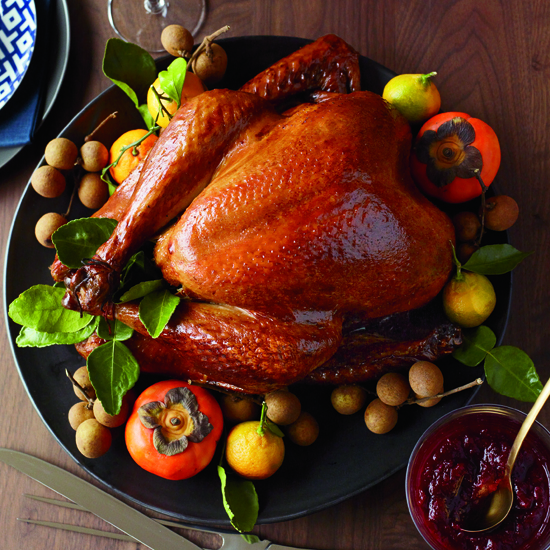 Chicago chef Shawn McClain’s holiday menu has a few French touches (profiteroles, tarte tatin), but nothing could be more American than the gorgeous turkey at its center.